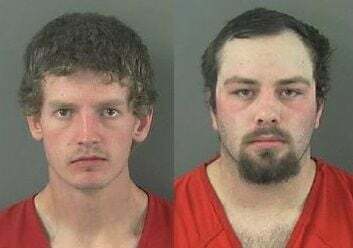 ELKO – Two men have been arrested in connection with a series of drive-by blowgun shootings in November. Cole D. Schick, 20, and Clay J. Lindquist, 19, both of Spring Creek, were arrested on six counts of battery with a deadly weapon. Schick was arrested Tuesday at the Elko County Jail and charged with an additional count of conspiracy to commit battery. His arrest came six days after Lindquist’s arrest on Jan. 30, when he was also charged with violation the conditions of his probation. The men are accused of shooting 11-centimeter darts at people in Elko on the night of Nov. 12, mostly in the downtown area. Elko police began to receive reports from people who observed a dark pickup truck drive by them before being hit. Police did not report the incidents to media at the time. Three of the victims were treated for wounds similar to a small pin-prick at Northeastern Nevada Regional Hospital that night. In one case, a dart penetrated through the wrist of one of the victims. Police identified the suspects after viewing security camera footage of the men entering Big 5 Sporting Goods and asking for darts. 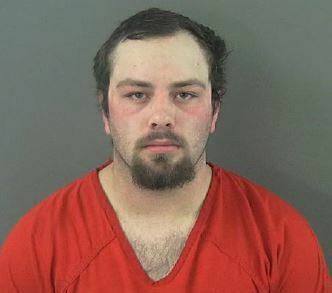 Investigators later learned the blow gun and darts had been purchased in Reno, with the intent of retaliating against someone who had shot at Lindquist and his girlfriend with a dart, according to a police report. Lindquist told police he and Schick started out to “shoot drunk people.” He later said he originally did not want to do it, but felt peer pressure from Schick to carry out the attacks. No other suspects were named in the criminal complaint filed Jan. 31 in Elko Justice Court. Bail was set for Schick at $121,000. Lindquist’s bail was $120,000.